Maintaining a roof over your family is the number one reason why you get up every day to work. You know by doing so your family can have a place to call ¨home sweet home¨ so they can relax, entertain, eat and dream. That is why your priority to keeping your haven standing is by calling The Two brothers Roofing of Southern Maryland to make sure you don´t work those extras hours because you didn´t maintain your roof in healthy condition. Unfortunately, most of the time we only pay attention to our roofs when we start seeing a shingle peeling off because the windy, stormy season just arrived, or worse yet, when we bang our heads and utter some swear words because ¨We got a leak! ¨ Not to worry, you have Albert owner of Two Brothers Roofing who is most likely known throughout your St. Mary´s County neighborhood; who has more than 30 years of experience of maintaining and repairing roofs and now he´s soon going to be your best bud! Although your roof is about 10 percent of the cost of your home, it provides protection to your whole home investment. Every year many do upgrades to their kitchen, bathrooms or fully renovate their homes, which can cost many thousands. However one tiny leak can add many more emergency cost inside your home if you don´t repair it on time and can force you to do your upgrades twice. That is why you need an experienced roof contractor to examine all the possible dangers on your roof and identify all the leaks or potential leaks that can cause further head aches and sleepless nights. If your roof has more than 15-20 years without any sort of maintenance, it may be time to invest in a better roof that can save you more money in the long run on heating and cooling costs. You can do this with a roof that reflects sunlight But without a doubt your roof contractor will tell you if you can get a little more time out of the existing roof and repair the necessary areas. Either way he will explain to you all your different options to keep the roof over your shoulders. Now that you are aware of the importance of always having a roof contractor come and assess your roof at least once every year, you want someone you can trust like Albert from The Two Brothers Roofing as he lives close to you and is aware of the local elements that can affect you from maintaining a healthy roof. A 2500 square foot home can have a roof that weighs 1750 pounds or up to 50,000 pounds. It can vary because of the material being used. And in the winter, the weight of snow can add hundreds of pounds to the roof, THOUSANDS when it rains and the snow holds the rain. It’s like a pool on your roof! Your roof contractor will recommend what´s out there now to accommodate your budget and needs according to the kind of house you have and considering the local weather. Most roofs are heavy because of its weight and gravity that helps it keep secure from high winds, especially living close to the coast. However there are other materials that have an interlocking feature between panels or shingles which are secured on the roof deck to make it wind resistant and light weight. When using the most modern materials available it surely can preserve your home structure as it ages in time and help keep the structural integrity if a wind storm should occur. Roofers work all year round and in different kinds of weather conditions. On average they can be working more than 40 hours a week taking off the weight and putting it back on your roof. Usually high season are the warmer months, with heat and humidity but it doesn´t matter for a roofer, they are ready for any kind of weather to get the roof over your family in the best condition. In most secular jobs, once you see the time change to zeros it’s time to go home. On the contrary, for any experienced outdoor tradesmen, they keep working until there’s no sunlight. You may have to force them to take a quick break for a snack. A roofer enjoys seeing what his strong hands can accomplish that after a hard day’s night he´ll be sleeping like a dog and do it all over again. Not only does he need raw strength to carry many loads to your roof, stamina and endurance is the key for successful roofers. Encountering a true tradesman is a lifetime keeper because you will always be guaranteed to satisfaction. As new families work hard to have their own homes, Roofers will always exist. It is a trade that demands constant physical strength and expertise. No one can argue that roofing is an easy job. It is hard work to be adaptable to all sorts of weather as one carries heavy loads in a high elevation and does it safely and efficiently. The Two Brothers Roofing of Southern Maryland is your top roof contractors in your area. They are proud to be Roofers and it’s proven by their workmanship. Not only do they have experience in all types of roofing for residential and commercial they make sure all their clients are fully satisfied with their service and experience with them. No doubt as you work hard to keep your family under a roof, The Two Brothers Roofing Contractors will help you do it for a lifetime. Although there might be many ¨MacGyvers¨ in St. Mary´s County who are convinced with a few friends, beer and some slab of meat to grill, they can get the roof done in no time. Please! Leave it to the professionals. It´s hard to believe that the time has come to change the roof on your beautiful home and instead of spending that extra cash on something you had planned to do, now you have to think about how much this is it going to cost me. Reputable companies that want to earn your business will offer free estimates. Start asking your neighbors or ask the local companies for references and take the time to check them out. Don’t forget to take the time to inquire if your homeowners’ insurance policy can cover with some of the costs. Do not easily look to the less expensive quote that is significantly different from the average estimates. As always, with one of the most important renovations to your home, if you go cheap you end up paying more! What are the Estimates based on? When the Local Roof Contractor arrives to assess your roof, offer them coffee and give them the needed time to allow them to give you the most accurate quote possible without tearing your roof down. They consider the pitch and slope of your roof, the age of your home, the accessibility to get to your roof, the style and difficulty and your location. 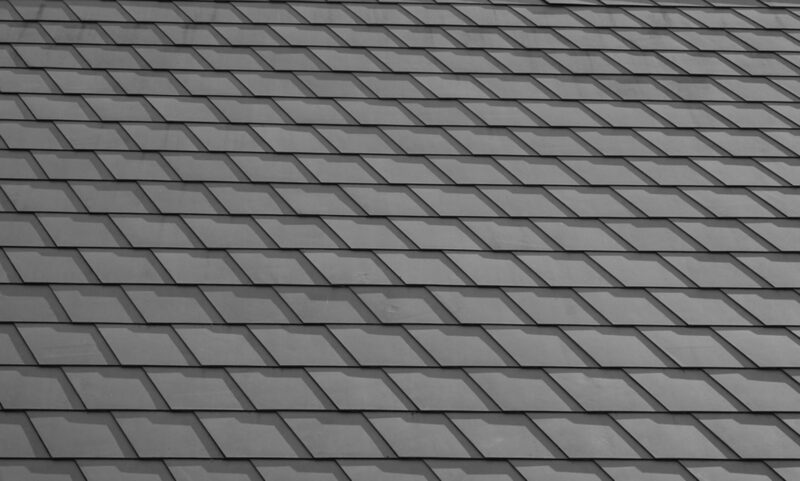 The Two brothers Roofing of Southern Maryland easily serve, St. Mary´s County, Charles County and Calvert County that can quickly give you an accurate estimate since they are the highest rated Roofing Company close to you. When your Local Roof Contractor comes to do an estimate, ask if it is really necessary to invest in a new roof or if you can get by from doing repairs. However, if your roof is fairly old it is definitely wise to invest in the new advanced roofing materials out there that will save you more in the long run and can raise the value of your gorgeous home. You may want to change the existing material to a more durable light weight roof or even more eco-friendly, with the grass roofs now in the mode. If you´re ready to make the change why not consider making it big by asking and researching the different roof materials available, styles and colors. Now that you have your top Local Roof Contractors up your sleeve try to find out more about them. The person who comes to visit you to give you an estimate is one way to find out more about the company he works for. Really consider how long have they been in business. If roofs get assessed every 15 to 20 years you definitely want a company like The Two Brothers Roofing Company that has more than 30 years of running a successful business. Not only do they have several years of experience but they have worked with every material that is made to put a roof over you to help keep you having sweet dreams to working with commercial buildings. Obviously, the person who comes to do the estimate better not be your salesman. The best Local Roof Companies are always the ones who make sure of Satisfaction Guaranteed. It is recommended that you meet and talk to the actual person doing the job before you say yes. Make sure you ask if they do the job themselves or if the hire subcontractors. The most satisfying Contractors are the owners that do come out and get her done because you know they want to earn their business right and they are definitely proud of it. Albert who is the owner of Two Brothers Roofing strives on making sure all the work done by his company doesn’t leave his site until he is assured his clients are satisfied. Everyone in St. Mary´s County is super friendly; however do not let a good rapport trick you into not having anything down on paper. Of course this should not be an issue with a Reputable Roof Company. Make sure you understand all the written contracts and estimates. If you don´t understand one word, do not hesitate you ask. After all you are the one willing to lay down the bills. Do not hesitate to ask about liable insurance because the last thing you want is an accident on your roof and if that happened you were better off just inviting your friends to have a roof party. Ask if everyone who will be working on your roof are certified or professionals to install the products they offer. It would be very unfortunate to have a kid tagging along with his father who has no experience on changing roofs but can really be a dangerous distraction. If you are willing to pay for excellent service and workmanship, you deserve to have any personal concerns or any misunderstanding clarified. They cover their backs and so we definitely must to the same. Now that you have built trust in the Local Roof Company that has your chosen golden ticket; it doesn’t mean that finally you can take a mini get away as they come and do the roof. If your roof is fairly spacious, it may take longer than you expect. Most likely you may not be able to be present during the whole project, but it’s advisable that you or your other home owner be available and easy to reach. 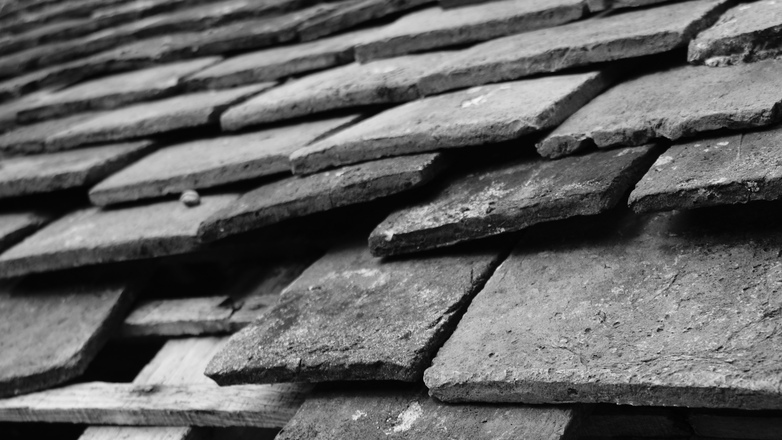 Your Roof Contractor may come across something unexpected when he takes the old roof off that needs a quick decision from the owners. Include him in your phone where you can easily chat with him if you’re not at home, so you can ensure that this project will be done right. Remember to always give good compliments when deserved, as he will appreciate those encouraging words that will only motivate him to do his utmost best on your new roof. Now that we have considered a few things when hiring a Roof Contractor, it´s time to go for it! Why not call one of your Local Brothers from Two Brothers Roofing at 240-466-4900 and get a free estimate.